There are more applications now than ever before that require high visibility safety apparel. Why not be seen even more by adding gloves that have High visibility colors and reflective stripes? 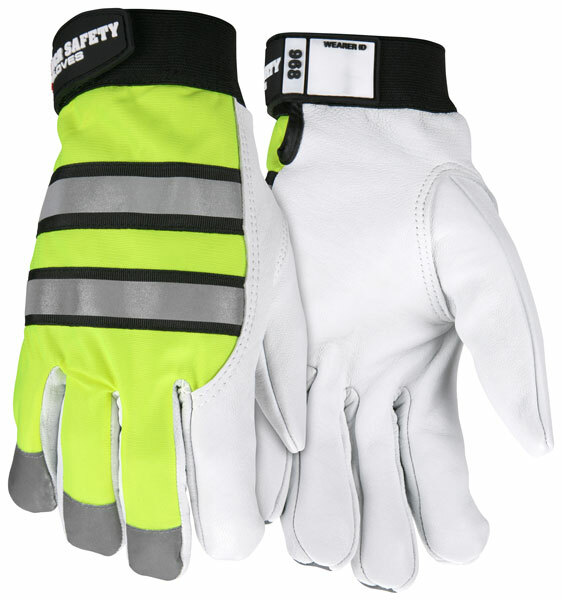 The 968 glove features quality grain goatskin leather that is insulated with a warm Thermosock® lining, a fluorescent lime back, and topped off with two reflective stripes across the back and on three fingertips. A hook and loop closure ensures a good fit. Be warm, be seen, be safe!